Entitled ‘Memory and Transformation’, this year’s DCDC conference (Discovering Collections Discovering Communities) sought to bring together a variety of practitioners from different cultural sectors including museums, libraries and archives to discuss the importance of memory management across the cultural heritage sector and the duty of archives as memory institutions in ensuring our rich past is not forgotten but routinely remembered, commemorated and celebrated. In an opening keynote Jane Ellison (Head of Creative Partnership, BBC) stressed the need for archivists as custodians of memory to mark important anniversaries through a regular programme of outreach events and activities to ensure past histories are not overlooked or misinterpreted but suitably commemorated. Ellison discussed the pivotal role of the BBC Archives in facilitating such events including the recent centenary anniversary of the First World War through the provision of archival memories including: photographs, first-hand accounts from the front line and oral histories. In employing archival evidence we help to honour our history in the truest form possible, adding colour to past events and bringing them to life in a way simply retelling stories from the front line would struggle to achieve. In bringing the keynote to a close Ellison ended with a thought-provoking quote taken from the Armistice day Sunday service which really brought home the importance and duty of archives to act in an effort to remember well, “we are not responsible for what happened in history but we are responsible for remembering it well”. Having had the opportunity to work with individuals suffering from dementia In the past I have experienced first-hand the life-altering impact the condition can have both on the individual and their friends and family. It was extremely refreshing therefore to have the opportunity to hear from Sophie Clapp (Boots UK Archive) about the therapeutic role archives can play in helping to revive forgotten memories and transform the lives of people living with dementia. 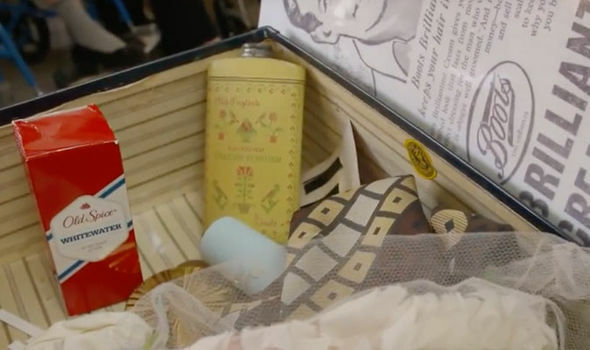 Through their work with Professor Victoria Tischler (Head of Dementia Care at the University of West London) Boots UK Archive have been able to develop multi-sensory memory boxes for care home residents living with dementia. Boxes include specially selected items from the Boots Archive which houses over ten thousand items including recipes, formulations and health-care products thought to trigger memories of nostalgia. From carbolic soap to Devonshire bath salt, the smell of these items was reported to have a powerful impact on dementia sufferers enabling them to recall past memories and strike up conversations, sparking new hope for researchers and families of those living with dementia. It was wonderful to attend the DCDC conference this year and learn more about the power of archives beyond their traditional research, evidential and community value as memory institutions with a duty and ability to commemorate historic milestones, acquire archival memories of different cultures and even provide reminiscence therapies.